Norman the Slug is looking for a perfect shell-but can he find his match? Find out in this "fantastically bold and fun picture book that will teach children the importance of accepting who you are" (Junior News and Mail). 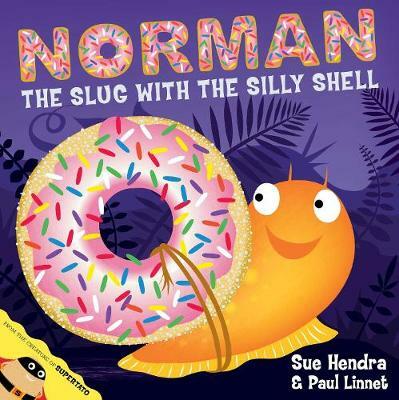 Norman is a slug who longs to be a snail-if only he could find the perfect shell! He tries a tennis ball, an apple, and even an alarm clock but none of them feels quite right. Until one day, Norman stumbles upon a doughnut! What could be better than that? But is that sweet shell really the perfect fit? I really enjoyed giving this book to my young brother for his birthday, he really likes it. The pictures are fantastic, would recommend this book to young children.